Carlo Guasco (16 March 1813 – 13 December 1876) was a celebrated Italian operatic tenor who sang in Italian and other European opera houses from 1837 to 1853. Although he sang in many world premieres, he is most remembered today for having created the leading tenor roles in Verdi's I Lombardi alla prima crociata , Ernani , and Attila . I Lombardi alla Prima Crociata is an operatic dramma lirico in four acts by Giuseppe Verdi to an Italian libretto by Temistocle Solera, based on an epic poem by Tommaso Grossi, which was "very much a child of its age; a grand historical novel with a patriotic slant". Its first performance was given at the Teatro alla Scala in Milan on 11 February 1843. Verdi dedicated the score to Maria Luigia, the Habsburg Duchess of Parma, who died a few weeks after the premiere. Carlo Guasco was born in Solero, a small town in the Piedmont region of Italy. He showed an early talent for music and singing as well as mathematics, and initially trained as a surveyor at the University of Turin. He also studied piano with his cousin, Giuseppe Guasco. When the voice teacher and composer, Giacomo Panizza, heard Guasco's voice, he convinced him to give up his work as a surveyor and study with him in Milan. 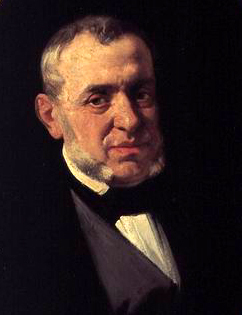 Guasco overcame the objections of his family to a career on the stage and began his studies with Panizza in September 1836. After only a few months, he made his stage debut at La Scala singing the relatively minor role of Ruodi in the 1837 production of Rossini's William Tell . His debut was a great success and he soon went on to create the leading tenor roles in several operas, most notably in Donizetti's Maria di Rohan (1843) and Verdi's I Lombardi alla prima crociata (1843), Ernani (1844), and Attila (1846). During the course of his career, he sang throughout Italy, as well as in Paris, London, Madrid, Saint Petersburg, and Vienna. Piedmont is a region in northwest Italy, one of the 20 regions of the country. It borders the Liguria region to the south, the Lombardy and Emilia-Romagna regions to the east and the Aosta Valley region to the northwest; it also borders France to the west and Switzerland to the northeast. It has an area of 25,402 square kilometres (9,808 sq mi) and a population of 4 377 941 as of 30 November 2017. The capital of Piedmont is Turin. The University of Turin is a university in the city of Turin in the Piedmont region of north-western Italy. It is one of the oldest universities in Europe, and continues to play an important role in research and training. It is steadily ranked among the top 5 Italian universities and it is ranked third for research activities in Italy, according to the latest data by ANVUR. Milan is a city in northern Italy, capital of Lombardy, and the second-most populous city in Italy after Rome, with the city proper having a population of 1,372,810 while its metropolitan area has a population of 3,244,365. Its continuously built-up urban area has a population estimated to be about 5,270,000 over 1,891 square kilometres. The wider Milan metropolitan area, known as Greater Milan, is a polycentric metropolitan region that extends over central Lombardy and eastern Piedmont and which counts an estimated total population of 7.5 million, making it by far the largest metropolitan area in Italy and the 54th largest in the world. Milan served as capital of the Western Roman Empire from 286 to 402 and the Duchy of Milan during the medieval period and early modern age. Giovanni Pacini was an Italian composer, best known for his operas. Pacini was born in Catania, Sicily, the son of the buffo Luigi Pacini, who was to appear in the premieres of many of Giovanni's operas. The family was of Tuscan origin, and just happened to be in Catania when the composer was born. Giuseppe Saverio Raffaele Mercadante was an Italian composer, particularly of operas. While Mercadante may not have retained the international celebrity of Gaetano Donizetti or Gioachino Rossini beyond his own lifetime, he composed as prolific a number of works as either; and his development of operatic structures, melodic styles and orchestration contributed significantly to the foundations upon which Giuseppe Verdi built his dramatic technique. Teatro La Fenice is an opera house in Venice, Italy. It is one of "the most famous and renowned landmarks in the history of Italian theatre", and in the history of opera as a whole. Especially in the 19th century, La Fenice became the site of many famous operatic premieres at which the works of several of the four major bel canto era composers – Rossini, Bellini, Donizetti, Verdi – were performed. 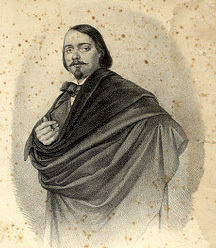 After singing in Ferrara in the spring of 1846, Guasco went to Saint Petersburg on a contract with the Imperial Italian Opera. He appeared there with great success in Ernani, Maria di Rohan, Norma , I due Foscari , I Lombardi alla prima crociata, and Linda di Chamounix . At the end of the 1848 season, despite the offer of renewed contract, he returned to Italy and Solero, the town of his birth. He took what proved to be a temporary break from his career, devoting himself to the activities that he had enjoyed in his youth, especially hunting. In August 1851 he married, and at the urging of his young wife took up his career again. He accepted the offer of a contract for the 1852 carnival season at the Théâtre-Italien in Paris, where he again had a success in Ernani. However, political upheaval following the French coup of 1851, led to half-empty theatres, making life difficult for the impresarios and singers alike. In the spring of 1853, he was offered a contract for a few performances in Vienna, after which he retired from the stage. He returned again to Solero, where he became active in the town's administration. He also taught singing. His most notable pupil was the dramatic tenor, Giovanni Battista De Negri, who became a famous interpreter of Verdi's Otello. Ferrara is a city and comune in Emilia-Romagna, northern Italy, capital of the Province of Ferrara. As of 2016 it had 132,009 inhabitants. It is situated 44 kilometres northeast of Bologna, on the Po di Volano, a branch channel of the main stream of the Po River, located 5 km north. The town has broad streets and numerous palaces dating from the Renaissance, when it hosted the court of the House of Este. For its beauty and cultural importance, it has been designated by UNESCO as a World Heritage Site. 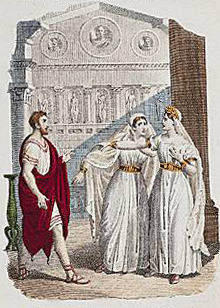 Norma is a tragedia lirica or opera in two acts by Vincenzo Bellini with libretto by Felice Romani after the play Norma, ou L'infanticide by Alexandre Soumet. It was first produced at La Scala in Milan on 26 December 1831. Carlo Guasco died in Solero on 13 December 1876 at the age of 63. Lucia di Lammermoor is a dramma tragico in three acts by Gaetano Donizetti. Salvadore Cammarano wrote the Italian-language libretto loosely based upon Sir Walter Scott's historical novel The Bride of Lammermoor. Hariclea Darclée was a celebrated Romanian operatic soprano of Greek origin who had a three-decade-long career. Fanny Salvini-Donatelli was an Italian operatic soprano. She is best known today for creating the role of Violetta in Verdi's opera, La traviata, but she was also an admired interpreter of the composer's other works as well as those by Donizetti. Carlo Baucardé or Boucardé (1825–1883) was an Italian operatic tenor who sang leading roles throughout Italy, as well as in London, Madrid, Paris, and New York. He is most remembered today for creating the role of Manrico in Verdi's opera Il trovatore and the title role in Donizetti's Poliuto. Eugenia Tadolini was an Italian operatic soprano. Admired for the beauty of her voice and stage presence, she was one of Donizetti's favourite singers. During her career she created over 20 leading roles, including the title roles in Donizetti's Linda di Chamounix and Maria di Rohan and Verdi's Alzira. She was born in Forlì and studied music there and in Bologna before making her debut in Florence in 1828. 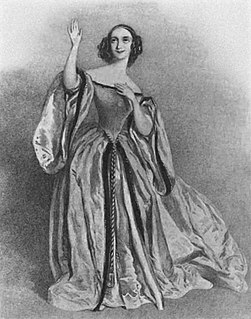 She sang in all of Italy's leading opera houses, as well as in Paris, Vienna, and London before retiring from the stage in 1852. She spent her remaining years first in Naples, where she had been the Teatro San Carlo's reigning prima donna for many years, and then in Paris, where she died of typhoid fever at the age of 63. From 1827 to 1834, she was married to the Italian composer and singing teacher, Giovanni Tadolini. Raffaele Mirate was a celebrated Italian operatic tenor who had an active career from the 1830s through the 1860s. Known for his intelligent phrasing and bright and powerful vocal timbre, he was regarded as an outstanding interpreter of the tenor roles in the early and middle period operas of Giuseppe Verdi. He notably created the role of the Duke of Mantua in the world premiere of Verdi's Rigoletto in 1851. He was also a highly regarded interpreter of bel canto roles, excelling in the operas of Vincenzo Bellini, Gaetano Donizetti, and Gioachino Rossini. Gaetano Fraschini was an Italian tenor. He created many roles in 19th century operas, including five composed by Giuseppe Verdi. His voice was "heroic ... with a baritonal quality, ... yet Verdi and Donizetti appreciated his ability to sing softly and with subtlety." An Italian biographer has pointed out Fraschini's role in extending the longevity of Donizetti's operas, while at the same time accelerating the ascent of Verdi's repertory. He was indeed the most prominent singer who facilitated the transition from Donizetti to Verdi. Fraschini sang over one hundred roles and Verdi placed him at the top of his favorite tenors' list and described him as a "natural Manrico" for his Il trovatore. Fraschini also played a pivotal role in the success of many operas by Pacini and Mercadante. Maria Spezia-Aldighieri (1828–1907) was an Italian operatic soprano who had an active international career from 1849 up into the 1870s. She excelled in the coloratura soprano repertoire and was particularly admired for her portrayals in the operas of Giuseppe Verdi. Her performance of Violetta in Verdi's La traviata at the Teatro San Benedetto in Venice in 1854 is credited with popularizing the opera after it had initially flopped at its premiere in 1853. She was married to baritone Gottardo Aldighieri and is the great grandmother of singer George Aaron. Eugenio Cavallini was an Italian conductor, composer, violinist, and violist. In 1833 he became first violinist of the orchestra at La Scala, a post he held through 1855. He also served as a conductor at La Scala, notably leading the world premieres of Gaetano Donizetti's Lucrezia Borgia (1833), Donizetti's Gemma di Vergy (1834), Donizetti's Maria Stuarda (1835), Saverio Mercadante's Il giuramento (1837), Mercadante's Il bravo (1839), Giuseppe Verdi's Oberto (1839), Verdi's Un giorno di regno (1840), Donizetti's Maria Padilla (1841), Verdi's Nabucco (1842), Verdi's I Lombardi alla prima crociata (1843), Verdi's Giovanna d'Arco (1845), Federico Ricci's Estella di Murcia (1846), and Domenico Ronzani's Salvator Rosa (1854). Nicolas-Prosper Dérivis was a French operatic bass. He possessed a rich deep voice that had a great carrying power. While he could easily assail heavy dramatic roles, he was also capable of executing difficult coloratura passages and performing more lyrical parts. Along with Nicolas Levasseur, he was one of the greatest French basses of his generation. Teresa Ruggeri was an Italian operatic soprano who had an active career from the 1820s through the 1840s. In 1827 she portrayed the role of Zarele in the world premiere of Giovanni Pacini's Gli arabi nelle Gallie at La Scala in Milan. She performed in several more world premieres at that house, including Francisca in Gaetano Donizetti's Maria Padilla (1841), Anna in Giuseppe Verdi's Nabucco (1842), and Viclinda in Verdi's I Lombardi alla prima crociata (1843). Other roles she performed at La Scala included Baroness Aspasia in Gioachino Rossini's La pietra del paragone (1829), Giannetta in Donizetti's L'elisir d'amore (1835), Alisa in Donizetti's Lucia di Lammermoor (1839), The Marquise of Birkenfeld in La fille du régiment (1840), and Giovanna in Verdi's Ernani (1844) among others. Erminia Frezzolini was an Italian operatic soprano. She excelled in the coloratura soprano repertoire, drawing particular acclaim in the bel canto operas of Gaetano Donizetti and Vincenzo Bellini. She was married to tenor Antonio Poggi from 1841-1846. Giacomo Roppa was an Italian operatic tenor who was active career in Italy's most important opera houses from the 1830s through the 1850s. He also made appearances at the Liceu in Spain. He is best remembered for creating the role of Jacopo Foscari in the world premiere of Giuseppe Verdi's I due Foscari in 1844. Adelaide Borghi-Mamo was an Italian operatic mezzo-soprano who had an active international career from the 1840s through the 1880s. She was married to tenor Michele Mamo and their daughter, soprano Erminia Borghi-Mamo, also had a successful singing career. Maria Dragoni is an Italian operatic soprano active international career in major opera house from 1984 to present. Antonio Poggi was an Italian operatic tenor who had an active international career from 1827–1848. He is best remembered for creating roles in the world premieres of operas by Gaetano Donizetti and Giuseppe Verdi. He was married to soprano Erminia Frezzolini from 1841–1846. Antonino Fogliani is an Italian conductor. Carlo Negrini was an Italian spinto tenor and creator of Gabriele Adorno in Verdi’s opera Simon Boccanegra. Filippo Coletti was an Italian baritone associated with Giuseppe Verdi. Coletti created two Verdi roles: Gusmano in Alzira and Francesco in I Masnadieri. Verdi revised the role of Germont in La traviata for Coletti, whose interpretation re-defined the role as it is known today. Filippo Coletti was, with Antonio Tamburini (1800–1876) and Giorgio Ronconi (1810–1890), one of the three leading baritones of 19th century Italy, an early model of a 'Verdi baritone'. Casaglia, Gherardo, "Guasco", Almanacco Amadeus. Accessed 2 September 2009 (in Italian).